I use a Mac for work, I also have an Android for work. I have the tendency to leave my phone in my bag a lot of the time so this makes me miss phone calls and messages that could be important. 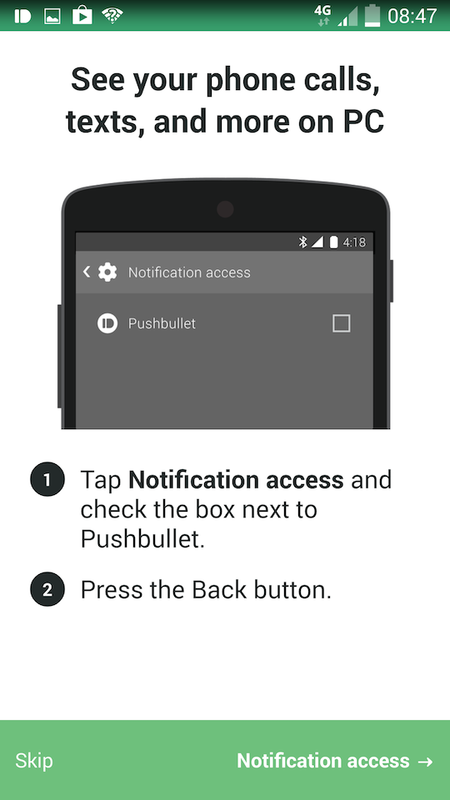 At first I thought the only solution is to simply check my phone, but after searching around I found an App called Pushbullet that pushes notifications from your Android to your Mac. You'll (or rather I) won't miss a work related call or txt again even if my phone is in my bag! Pushbullet is not limited to just one device, you can add multiple devices and share notifications between all of them. It also lets you push notifications between your devices, send files, etc. In fact, the screenshots in this post were pushed from my Android phone to my Mac. 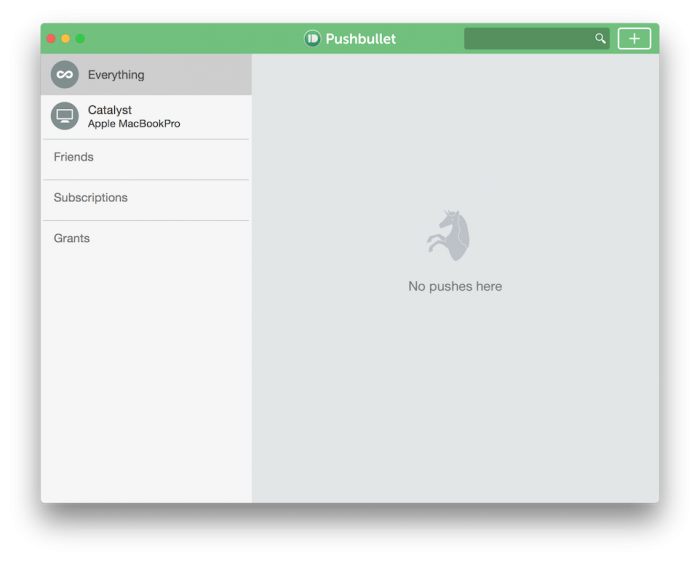 Pushbullet also works with iOS, I tried that feature and didn't like it, it didn't seem to be as polished at the Android to Mac notifications. I also could not get iOS to Android notifications working so ended up deleting the iOS version. 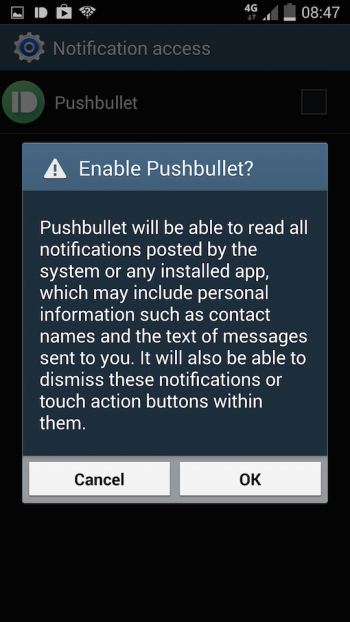 I did notice a bit of instability in the Mac software, especially when deleting pushed screenshots, however killing the Pushbullet Notifications process in Activity Manager and starting Pushbullet again fixes this. The crash is not apparent, it manifests by the way of all notifications in Pushbullet disappearing. 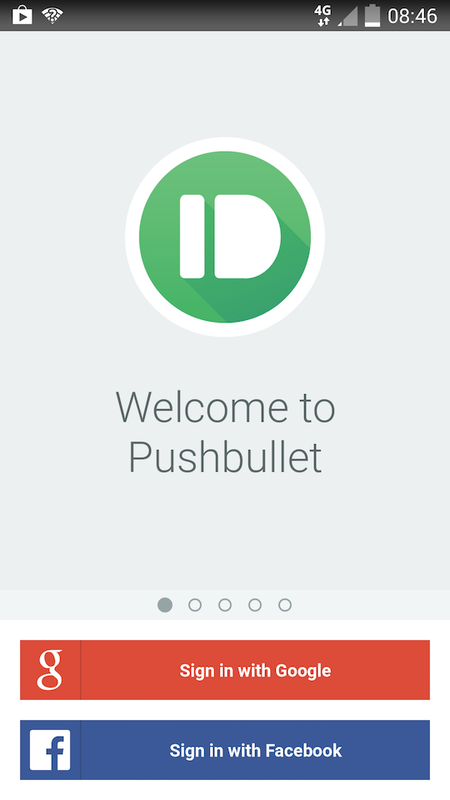 So lets see how it all works, Pushbullet is available from the iTunes store here: http://itunes.apple.com/us/app/pushbullet-from-pushbullet/id948415170. 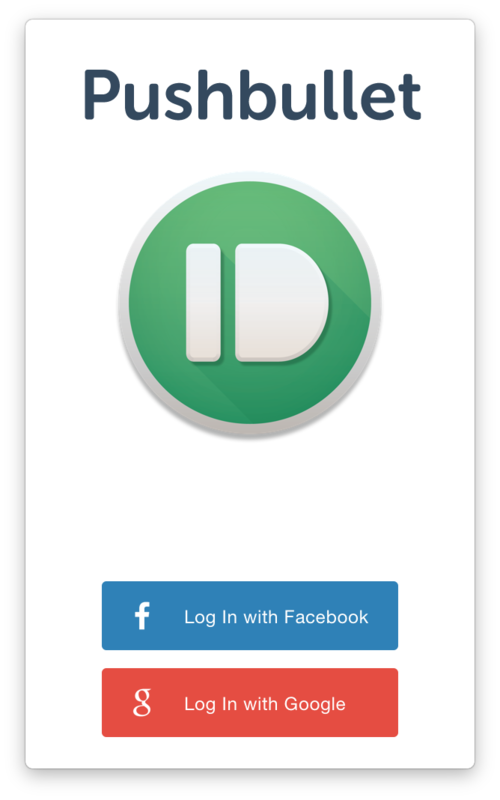 After installing and launching the App, it asks you to login, either with Facebook or Google. Since I was wanting to get notifications from my Android phone to my Mac, login with Google made the most sense. After login you are presented with some welcome screens and have the chance to edit preferences. One important preference to set is Enable Pushbullet Notifications, this will let the App run in the menu bar so that you don't have to launch it every time you want to have notifications from your Android. Once you're set up, you can access the Pushbullet App's main screen, at this point it won't have anything other than the Mac you installed it on. After installing the Mac software, the Android App has to be installed on your phone/tablet. This is found on the Google Play Store. Once installed, it's simply a matter of logging in with the same account as you did on the Mac, enabling notification access to the App (you will be asked to do this) and you're done. 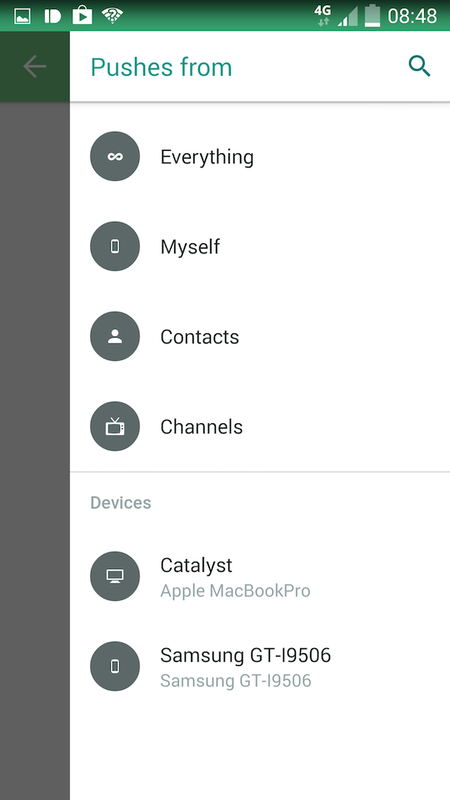 You should see both your Mac and the Android device listed in the App now. There is an option to send a test notification, I tried that, but more importantly I tried sending TXTs from my iPhone to the Android phone and also making some phone calls, these were picked up by Pushbullet and I got a notification pop up as expected. These appear in the OS X Notification Centre. I also tried sending a file to myself, no problems here, worked perfectly (except the part where I tried to delete the sent screenshots). When you get a TXT notification, you can reply to it directly from your Mac. That's a fantastic feature akin to Messages on iOS/OS X.
I'd recommend this app to anyone with an Android and a Mac since there is no native synchronisation provided between those two platforms (unlike iOS to OS X). 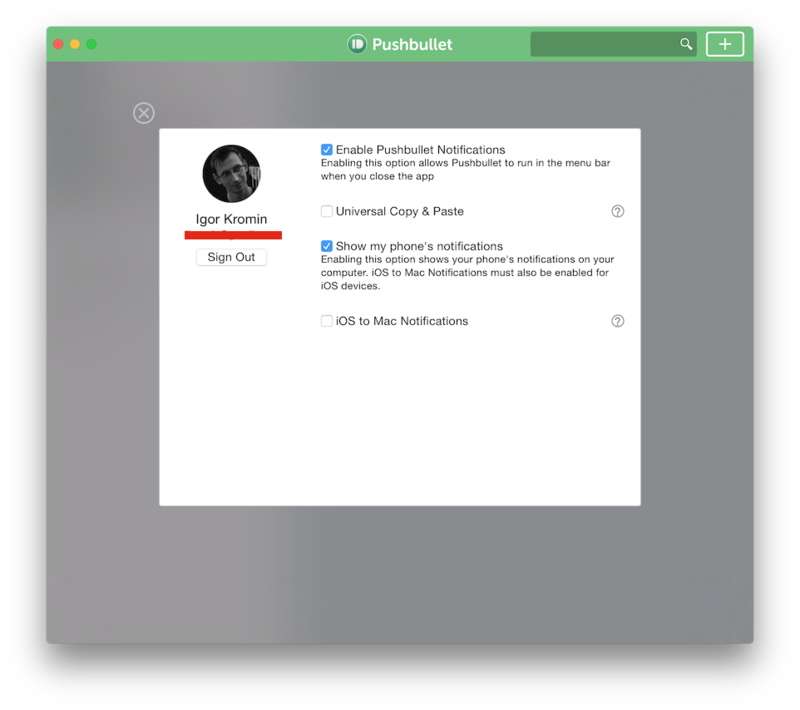 The only feature that would make Pushbullet perfect is if the menu bar icon (and the Dock icon) could show a counter of pending notifications. At the moment you have to open Notification Centre to view any missed notifications, that's not really convenient and almost defeats the point of the app since you could just as easily look at the phone in this case. I hope the developers add this in the near future.